Believe it or not, those greens you’ve been tearing out of your lawn for years are actually edible – in fact, they’re packed with nutrients (though you’re best off purchasing organic dandelion greens from your local health food store, as cultivated ones are significantly less bitter than “wild”). 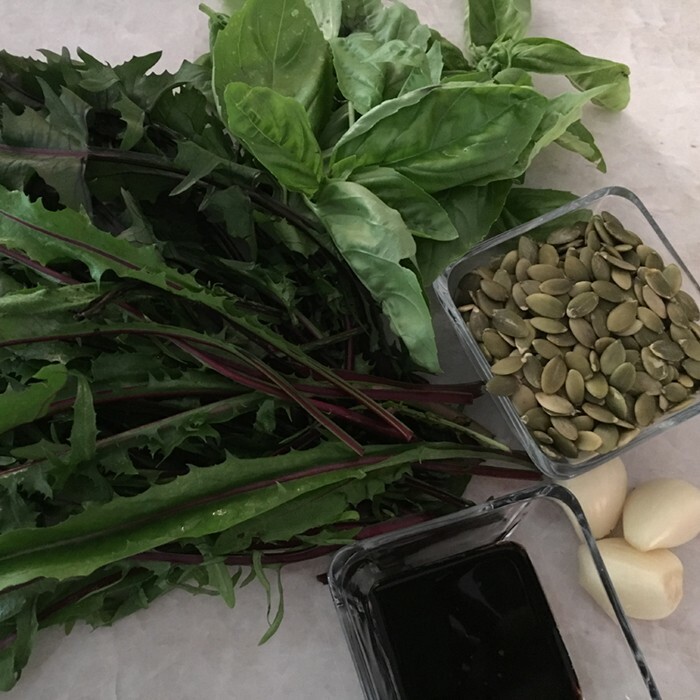 Dandelion greens are rich in lutein, vitamins A, K, C and calcium (206 mg. per serving! ), potassium and manganese, in addition to countless phytonutrients. Wash dandelion greens, roll them together and thinly slice (chiffonade). Place damp greens in a large mixing bowl. Drizzle them with a little olive oil and sea salt, and massage gently for a minute or so (this will greatly reduce their bitterness). Heat skillet to medium, and add remaining oil. Add garlic and chopped pumpkin seeds, stirring constantly for 1-2 minutes. Drizzle the hot vinaigrette over the greens, toss, salt and pepper to your taste. Add chiffonade basil for a garnish. You can serve this as a side salad, or add the protein of your choice (garbanzo beans, lentils or any legumes, chicken or shrimp) to make it into a main dish. In lieu of pumpkin seeds, you can use other seeds or nuts of your choice. Add a tablespoon of nutritional yeast for a cheesy taste and texture.